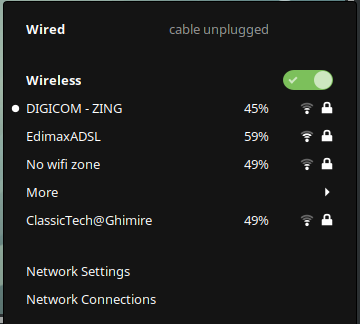 This article will guide you to fix wifi not being connected to any wireless network due to a bug on Network Manager on Debian 9 and other debian based distros like Ubuntu. 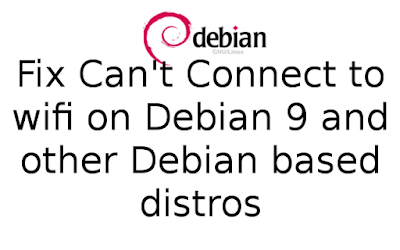 I personally stumble upon this issue on my Debian 9(Cinnamon) distro and after googling for sometime knew about this bug on Network Manager's specific version. You can refer to this link for more info on this bug or just scroll down for a quick fix. To fix this issue you can either upgrade/downgrade to the bug free version of Network Manager Or just edit a small configuration file of the Network Manager. So, in this article we will guide you to edit the configuration file to fix the problem, which prevented the wifi from working. Note: You will need root access to edit the config file. Use "sudo" or login to your root account. Fist of all open the terminal and type the following command to edit the configuration file. I will simply use the gedit to edit the config file. Now You should be able to connect to your wireless AP. If in case you weren't able to connect successfully try to restart. And sure dont hesitate to comment below your issue. It does work after restarting. Internet Service Providers hold an important space in our world. All of our personal, as well as professional work, is somehow based upon the Internet. One day without the internet feels like backward by ages. Sometimes modem comes up with technical clichés like, it connects to the internet but don’t allow browsing. It can be solved via simple steps.